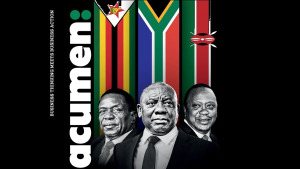 Acumen magazine is the school’s business publication that aims to serve as an influential platform connecting corporate South Africa with business executives from various sectors of business and commerce. According to the United Kingdom's Financial Times Executive MBA Ranking, GIBS is home to South Africa and Africa’s number one Masters in Business Administration (MBA), and the business school is also ranked among the top providers of business education globally. Chris Gibbons, editor of Acumen, says, "GIBS has achieved stunning success by investing in top-quality academic staff, admitting only the best and brightest students and backing them with superb infrastructure. The school allowed me to apply exactly that approach to the magazine, with a brief to be the best long-form business magazine in South Africa." "Acumen is where we tell inspiring stories of individuals doing great things; not only in South Africa but also on the African continent," says Gibbons. "It is because of Acumen’s quality content that the title continuously attracts quality readers and advertisers." Acumen speaks to an estimated 60 000 business executives that include GIBS academics and students, alumni, CEOs, COOs, and decision-makers through the GIBS subscriber database and GIBS campus in Illovo, Johannesburg. The title is available in digital format and print at selected CNA Exclusive Books stores, as well as at airport hospitality lounges. 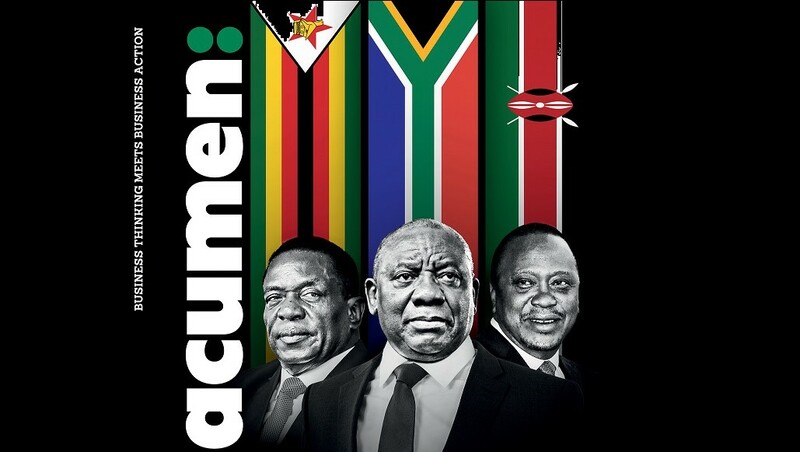 Howard Fox, commercial director of GIBS, adds, "Acumen is far more than just a communication channel to the GIBS constituency of C Suite, directors, and middle to senior management. It allows us, as a leading business school, to give back [by providing] the latest business thinking. It also allows us to encourage even greater business action in South Africa and, increasingly, the continent." CEO of Contact Media and Communications, Sean Press, says, "We are very proud of this unbelievable platform, which influences corporate South Africa and gives brands the opportunity to speak and engage with sought-after C-suite executives." Through collaboration with GIBS, Contact Media and Communications says it looks forward to another five years of setting the benchmark for excellence in the business-to-business magazine category. For more information, visit www.contactmedia.co.za. You can also follow Contact Media and Communications on Facebook, Twitter or on Instagram.